Since the 2010 midterm elections the Republican Party has made long term investments in flipping as many state legislatures as possible. And over the last three campaigns, their gamble has paid off. In the past six years, the Republicans have managed to take nearly 1,000 state legislature seats from the Democrats across the country. The Republicans once controlled 14 state chambers in 2010, but after the 2014 election cycle the number rose to 30. Much of the switch can be credited to a stronger fundraising apparatus on the Republican side, and in turn they have much more in their coffers to finance campaigns. “[The Republicans] have invested hundreds of millions of dollars in winning state houses,” said David Axelrod at a recent question and answer session at the Medill School of Journalism. Axelrod is currently the director of the University of Chicago’s Institute for Politics and a former senior advisor to President Barack Obama. In the last decade, the Republican State Leadership Committee has raised over $165 million nationally to help campaign for Republican candidates, according to data collected by the Center for Responsive Politics. During the same period their counterpart, the Democratic Legislative Campaign Committee, raised less than $65 million. But Illinois Democrats have remained competitive despite national trends. 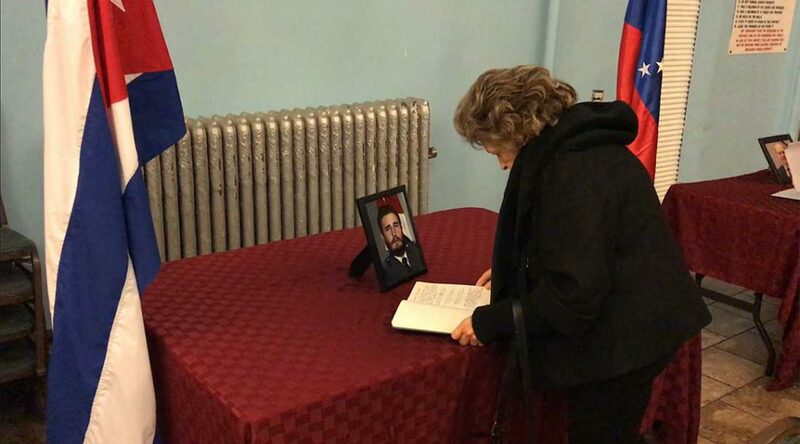 Since the death of Castro, she has seen a lot of curiosity about the late leader’s legacy and the wider socialist movement. “People want to know why the United States government has been so vicious to tiny little Cuba,” said Gersh at a gathering on behalf of the late Cuban leader. Somber speeches and expressions of gratitude were in abundance. It was a night of surprises. 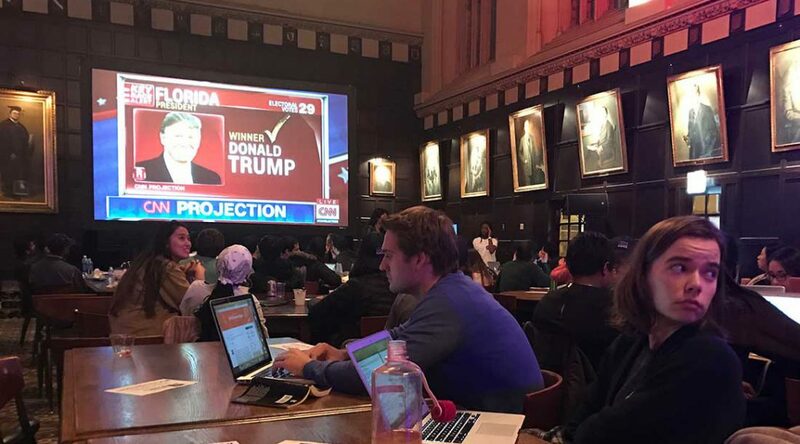 At the election watch party at the University of Chicago’s Institute of Politics, the overwhelming favorite was Hillary Clinton, and students formed a long line to pose with a cardboard cut-out of the Democratic nominee. Early in the evening when the main dining hall was standing room only, as every state announced in Clinton’s favor, thunderous applause erupted from the crowd. Many were optimistic that Clinton would be named as the president-elect before midnight, hoping they would still have a chance to study for midterms. Curren Mehta, a junior studying business, was the only supporter in the room of about 250 people wearing clothing in support of Donald Trump, the now iconic “Make American Great Again” baseball hat. He was reluctant to support Trump after the primary, but ultimately could not vote for Clinton because of his distaste for her economic policy. “I read a lot about both of their tax plans, and Clinton’s just couldn’t work,” said Mehta. This year he was the only member of his family, who voted for the Republican nominee even though his father is the one who influenced his fiscal conservative ideals. During the event, his younger sister, also a University of Chicago student, came over and chastised him for wearing Trump clothing to the event. 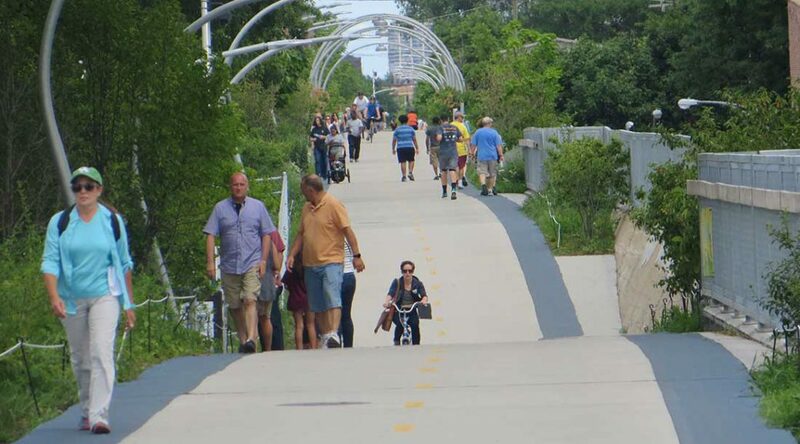 Nearly 16 months after opening, the 606 has come to define its surrounding neighborhoods, for better or for worse. The 2.7-mile-long trail was developed by the Trust for Public Land, a national organization whose mission in part is to create and protect parkland, especially in underserved communities. Before the conversion of the Bloomingdale line into a public park, Logan Square had the least amount of green space per capita of any Chicago neighborhood. Jerry Brown is frustrated after years of broken promises. The West Pullman resident is one of many eager to hear the latest plans to bring Chicago Transit Authority train stations to the largely black communities on the city’s far South Side. The long-promised project has recently gotten a firmer timeline from the city, but Brown wonders why the communities went unserved for so long. “The question I have is, Why has it taken 15 to 18 years to get this plan? There have been a lot of different plans. I think this is the third environmental impact study, the second engineering study,” said Brown. 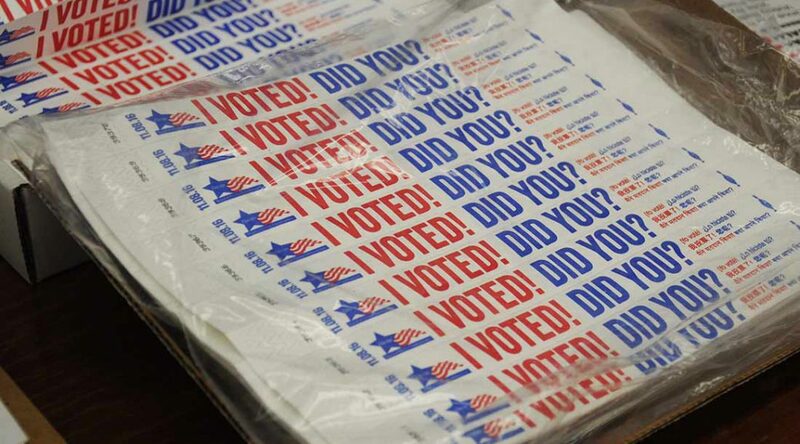 At the Elmwood Park Village Hall early voters were eager to get this election over with. The line was short and most voters were done in about 15 minutes in one of the last days of early voting. And when the election judges thought back to last year’s early voting period, they said there didn’t seem to be an uptick this year. Amid the talk about a flood of early voters causing long lines across the U.S., Elmwood Park is not one of these places. There’s just not that much excitement about the election, said residents in the working class Chicago suburb. Many say they exhausted with the election and want to move on. “People here are not that enthusiastic, even if they are worried about things like the Supreme Court,” said Donna Roehri, secretary of the Leyden Township Republican Organization.